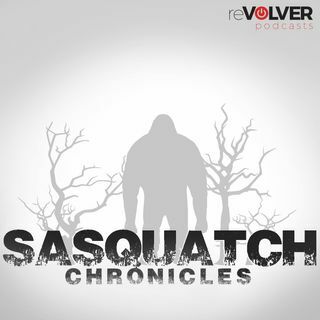 A listener writes “Hello Wes, I witnessed a female Bigfoot stalk and kill a hog on the bank of the Sabine River back years ago, I grew up in La, right on the Sabine Rivers backwaters and hunted, fished, and trapped it all my life from the Texas state line to the north, and south down to the Toledo Bend Lake and all the backwaters in between, since I was old enough to get in a boat. My family made our living like this since they first come here from Mississippi back in 1900. I am 54 now, and in ... See More all my time in the woods etc, I’ve only seen this creature three times. Once when I was six y/o sitting in a deer blind with my uncle. At 34 when it ran across the road outside Diana TX on lil cypress bayou, and when I watched it stalk a pack of young hogs and kill one. I have not seen one since. Join now and MYBookie will match your deposit dollar for dollar. Visit MyBookie Online today. that’s M-Y-B-O-O-K-I-E and don’t forget to use the promo code (CHRONICLES) when creating your account to claim the bonus.